Gambling is not something usually associated with health and fitness but every day thousands of people around the world gamble with their health. “Get rich quick” is a phrase that can just as equally be applied to “Get fit quick” and just like with finances, get-fit-quick schemes come with pitfalls that are often not profitable in the long run. Drugs are not just limited to ravers in dark rooms dancing until the early hours. If professional sports like cycling has taught us anything, athletes often abuse drugs in quantities equal to those of late-night wreck-heads and weekend-long festival goers. One of the biggest culprits is the weight loss industry, a largely unregulated market that pulls in $66 billion a year in the US alone on questionable products with offer little-to-no provable results. In a desperate attempt to emulate Hollywood stars and famous celebrities, millions of people the world over put strange chemicals into their body in the hopes of achieving that perfect model look. Few, however, take into account the damage that these health gambles inflict upon their overall well-being. Just like in real gambling, the same rules apply – the house always wins. Health and fitness supplements are designed and marketed in a way that promises the best results at the lowest possible cost in order to make the producers the most profit. Listed ingredients are often worded specifically in vague terms that consumers struggle to understand and use catchy terminology to attract unsuspecting buyers. Marketing materials feature fit, lean models that swear by the product but don’t show the hours of hard work that the model has put in behind the scenes to achieve that overly-photoshopped body. The truth is, when it comes to fitness, there are no shortcuts. Sure, there are various supplements and specific gym routines that can accelerate weight loss and muscle gain, but in the end of the day, it’s the hours put in that make the difference. Throwing a thousand dollars at the latest diet fad without also putting in the required work will only shed weight off your wallet, not your stomach. Taglines like “Get a beach body in two weeks” or “Lose 20kg with this one pill” are common marketing ploys that appeal to the lazy and time-stretched citizens of today’s frenetic world. Telling somebody they need to go to the gym for six months one week before summer is not going to sell. Diets that claim participants only need to cut out fat or carbs may seem appealing but the truth is, the only way to a truly fit and healthy body is a balanced diet and a decent amount of physical activity. 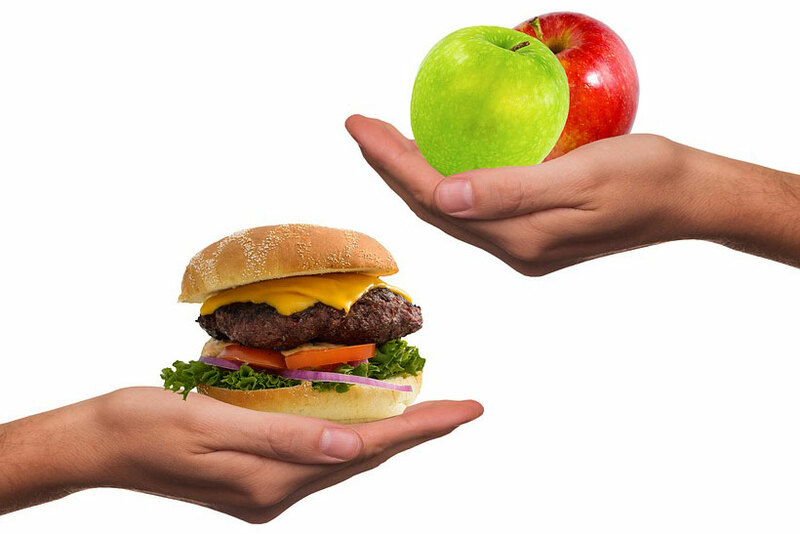 Changing your diet drastically to burn fat might work short term but its neither healthy nor a long term solution. Your body’s emergency systems could kick-in and begin to actually store more fat, having the opposite effect and causing stress on your organs. The same goes for gaining muscle – no matter how many BCAA-infused protein shakes you drink a day, they’ll never give you bulging biceps by themselves. As a result, some of those looking for bigger gains with the least amount of effort decide to put a serious bet on their health and turn to dangerous options like steroids. Seedy gyms are filled with muscle-bound pushers flogging steroids that promise you a perfect body just like theirs – but what you don’t see is the internal organ damage. However, despite a wealth of scientific research disproving most diet fads and fitness drugs, thousands of people worldwide continue to gamble with their health on a daily basis. The health and fitness industry, just like a casino, appeals to the desperate and impatient. Rather than work hard and save, every gambler hopes they can take a shortcut and be the next big winner – but just like in health and fitness, the best way to win is slow and steady gains. There are good quality supplements and diet plans out there that can assist in your fitness regime but don’t gamble on your health – do your research and most importantly, do the hard work.